I love leafing through crochet books and dreaming of all the pretty and unique things I could make, who I would make them for, and especially in what COLORS I would make them. How about you? I have recently received a fun crochet book by the talented Sara Leighton of Illuminate Crochet. It's called Nature's Gifts for Baby and you can find it here. 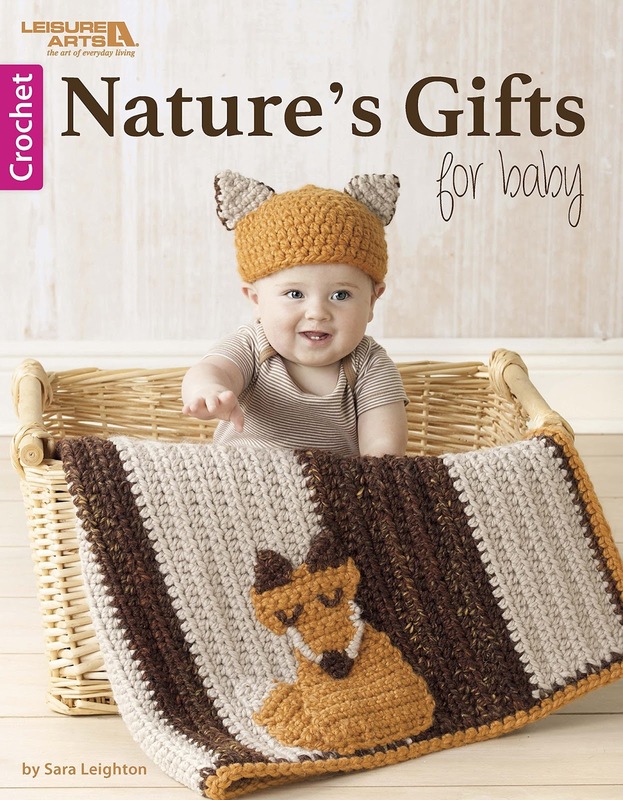 There are 7 gift sets for baby, all including a hat and matching blanket. 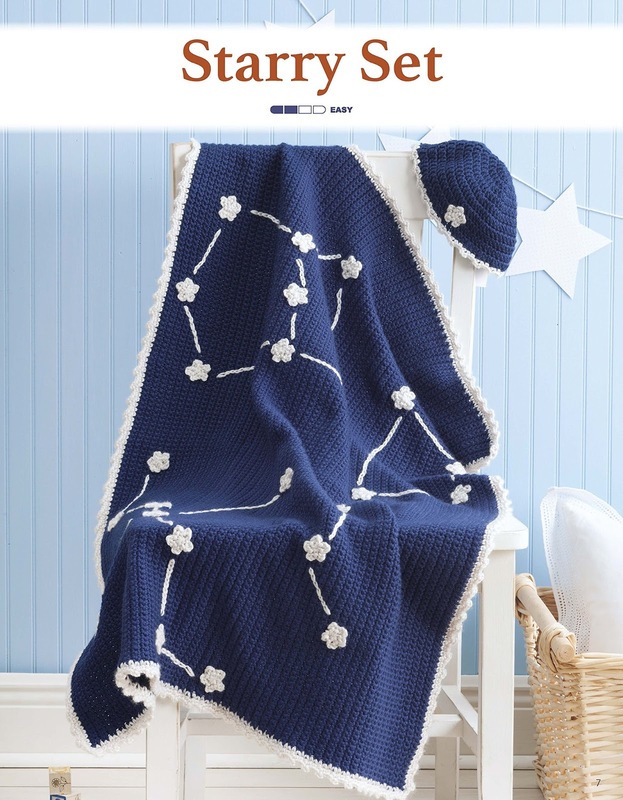 As you know--I looove making blankets, so this is right down my alley! ~~Six of the 7 projects in this book are rated as Easy which makes them perfect for working up quickly--ideal for gifting. 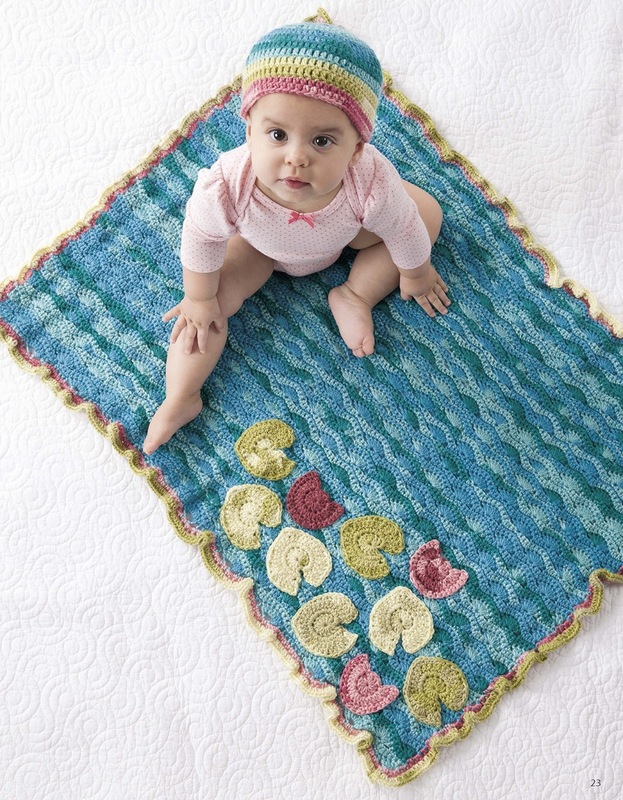 ...and appliques like in the Water Lilies Set. ~~The book will lay flat when you are working. This may seem like a small thing, but I really like that I can lay it next to me and read the pattern easily without needing to prop it open. Again, you can find the book for purchase from Leisure Arts here. I have been following Sara's blog for a while now and I really enjoy reading her posts. 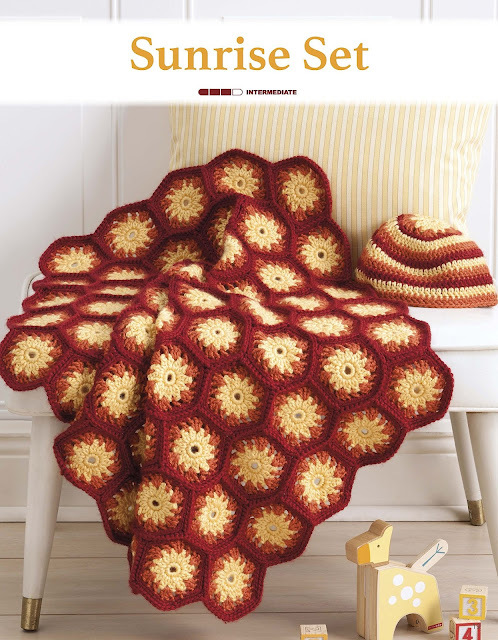 She provides lots of interesting little tid bits about all things crochet, knit and yarny. 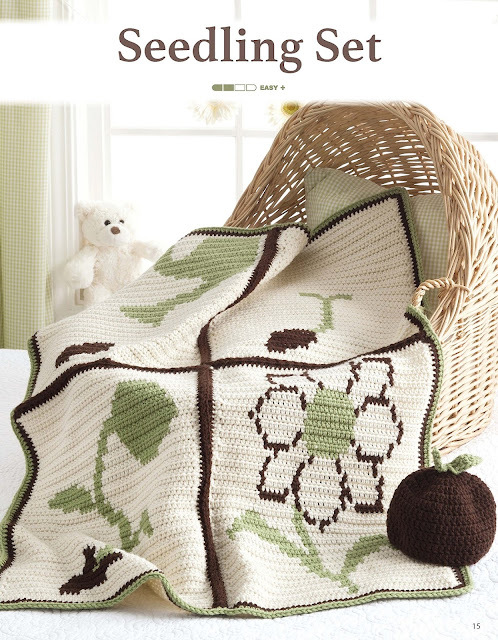 I hope life is treating you well and you are enjoying plenty of time playing with your hook and yarn! I'm off now to do just that kind of playing. | On the Board | -- Life is to be enjoyed, not just endured.